I know I've been missing in action for several weeks now but, I'm back with a great tutorial to start off your week. 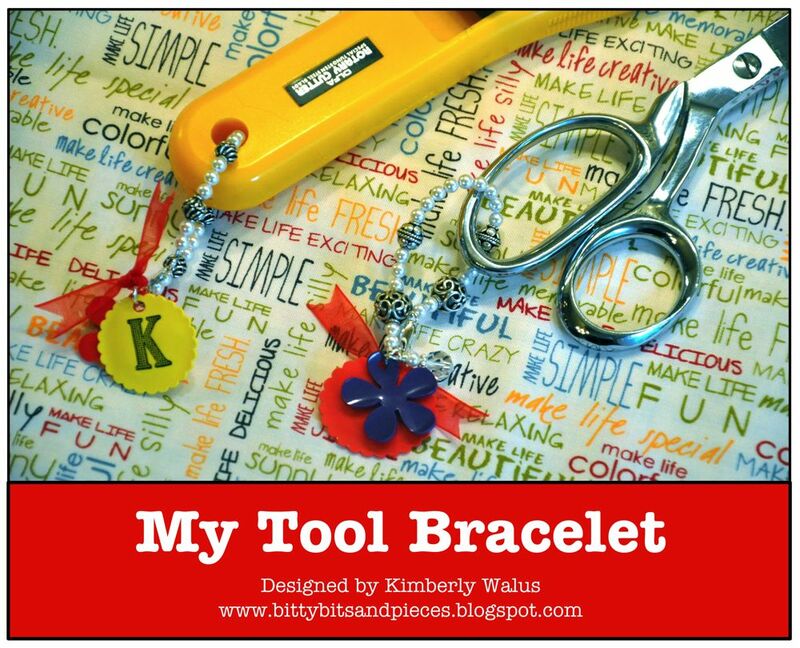 Let me introduce you to what I'm calling my Tool Bracelet. I know it's a small project but a ton of work went into making this tutorial so I'd be happy if you linked to it and shared it with your friends. Infact, I'm going to be giving away a few Tool Bracelets in a giveaway. Keep an eye out for that giveaway in the next few days. 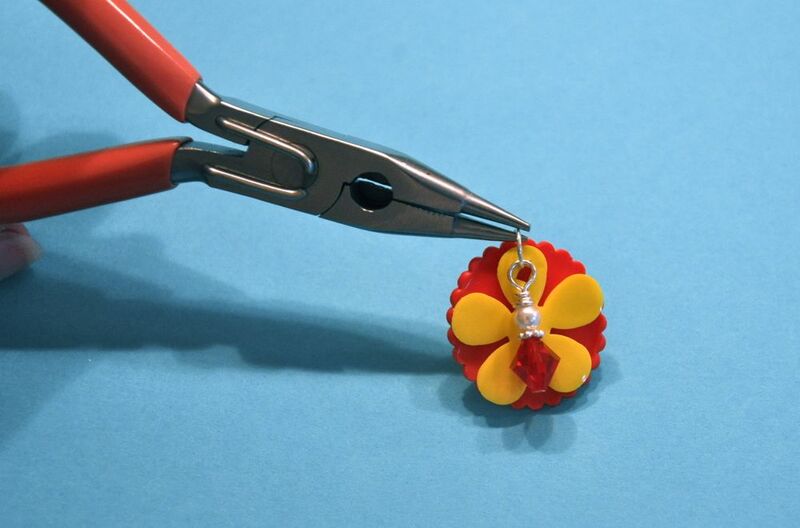 It's basically a really small and cute bracelet for your scissors or rotary cutter. 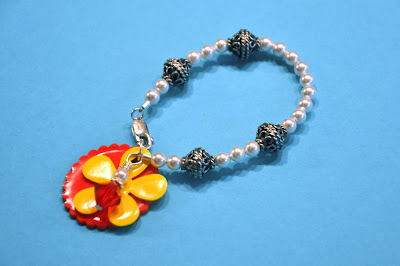 The Tool Bracelet helps you identify your tool when quilting with a group of ladies at a quilt retreat or during a quilt class or at your quilt group gatherings. The initial of your name is stamped on the plastic disc and is then attached to the bracelet with a jump ring. 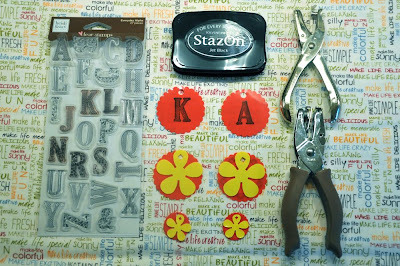 You'll also notice the bit of bling attached to the flower dangle and scalloped letter disc. 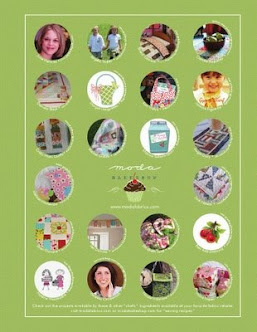 Please note: I've taken the time to link nearly every supply you will need to make this project. 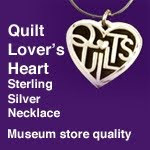 You can purchase some of your items at most craft stores or you can use the online links I've provided for you. 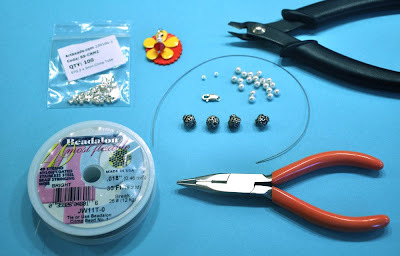 I buy the majority of my beading items online through Artbeads.com and I've used them for years with 100% satisfaction. They are a great source for a HUGE variety of beads with quick and reliable service, competitive pricing, and free shipping when you spend at least $10.00. Now my secrets out! lol. Also, Let me know if you have any trouble with the links and I will try to help or fix it. Thanks. Warning: Beading and Jewelry making can easily become another craft addiction if you're not careful. lol. It's something I've enjoyed for many years!! Enjoy visiting Artbeads! Here's a picture of the Alphabet Stamps, Black Staz On Stamp Pad, Clear Acrylic Stamp block (not pictured), 1/4" punches and a before shrinking and after shrinking look at the shrink plastic. 1. Decide on the two plastic colors you want to use. 2. Punch out the circle with the scalloped circle punch. 3. Punch out the flower using the retro flower punch. 4. Decide on the letter you want to use from the Everyday Alphabet set. 5. 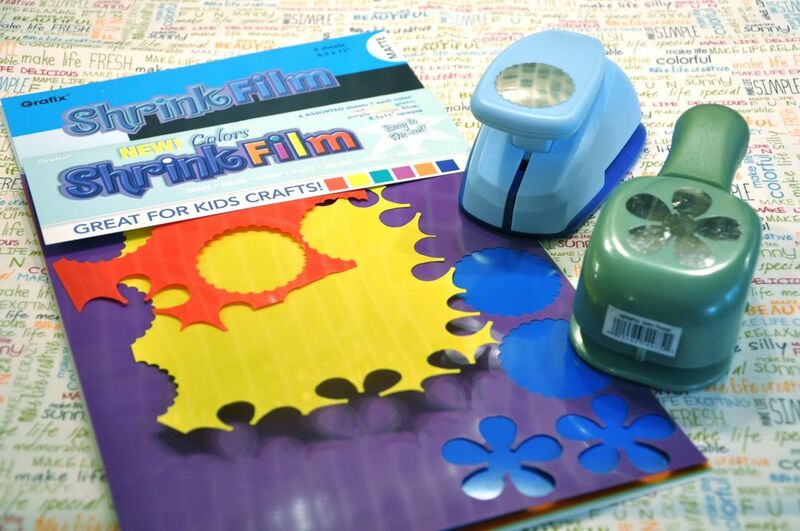 Attach letter to the clear acrylic stamp block. 6. Center and carefully stamp letter on plastic circle (it will slide if you're not careful). Let dry. 7. Make sure to read over the manufacturer's instructions for using the shrink plastic. 8. Preheat craft oven/toaster oven to 300-350 degrees. I found the 300 degrees worked best. 9. 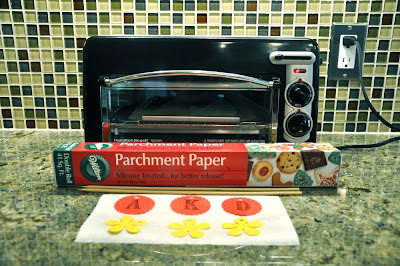 Cut two pieces of parchment paper to fit your oven tray. One for the bottom of tray and one to cover your shrink plastic. 10. Place one piece of shrink plastic in the oven at a time. You can do more it's just easier with one piece at a time. 11. 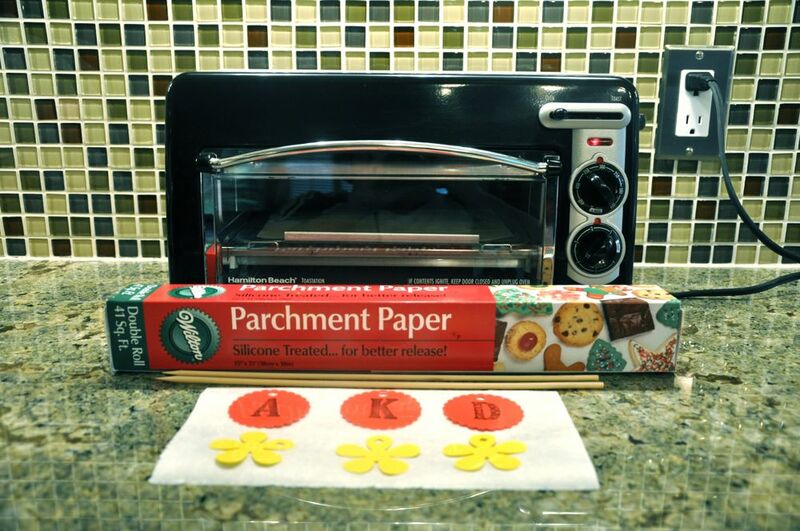 Cover with parchment paper and lightly hold down with skewer. Note: This will help to prevent the plastic from sticking when it curls. I found the circles curled really easily and the opposing edges would stick to each other and then not uncurl like the instructions indicate. 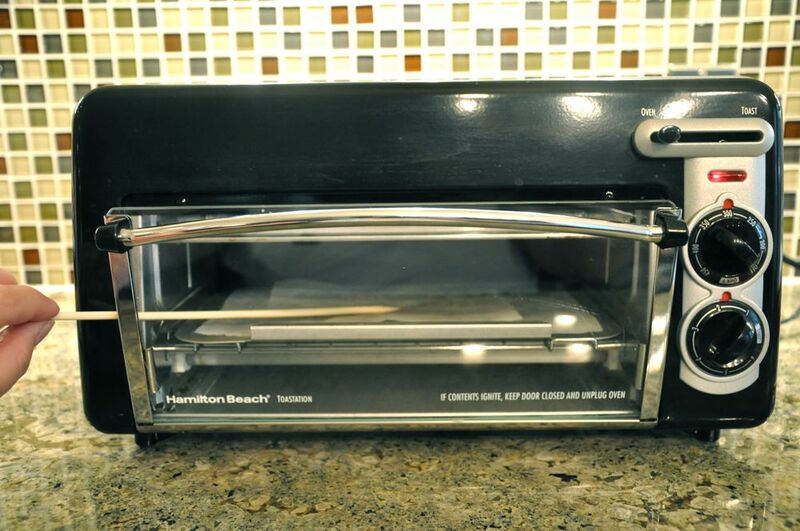 You will want to do a few testers for your oven and to get a feel for how the plastic works and shrinks and again please make sure to read over the manufacturer's instructions if you have any questions about the product. 12. 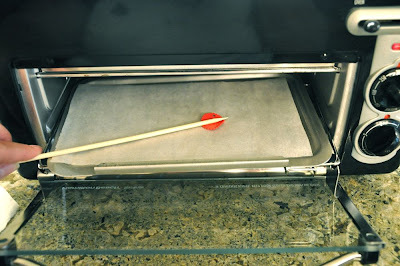 Before taking plastic out of the oven, take off the top parchment paper and use the skewer to flatten the edges by rolling the flat edge over the plastic like a rolling pin. It does harden quickly. These are the components you will need to make the Crystal Flower Dangle. 1. Place Crystal, spacer, and bead on the head pin as seen in picture below. 2. 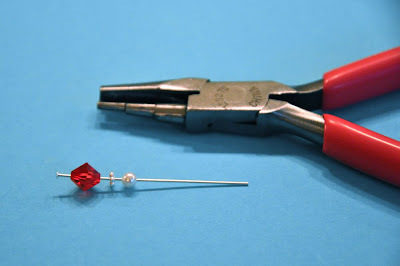 Place wire in Wire Looping Tool making sure to leave approximately a 16th of an inch space between pearl and tool. Close handles. This will curve the wire. 3. Bend crystal side of head pin away from tool and curve the opposite side of wire around the needle part or the tool until it crosses over the head pin. 4. Twist the excess wire around the head pin. 5. Using wire cutters trim the excess wire. 6. Now you're ready to assemble the dangle on the jump ring. 8. Take the plastic disc and place it on the ring with the back/wrong side facing you. 9. Take the plastic flower and place it in front of the back side of disc. 10. Take the Crystal Dangle you just made and place it on the jump ring. 11. Close the ring in the reverse manner I explained in instruction #7. 12. 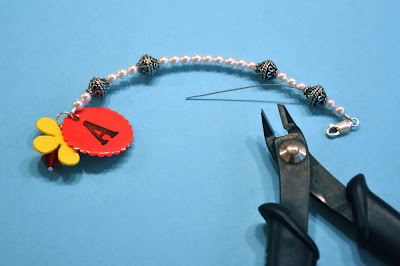 You are now ready to move on to Step #3 Making the Bracelet. 1. Take the Crystal Flower Dangle and thread wire through the hole. 2. Slip the crimp bead with both ends of wire going through the hole of crimp bead. 3. Leave at least a 1" wire tail. 4. Using the back opening of the crimp tool crimp the bead. 5. Move crimped bead to front opening of crimp tool to fold the crimped bead into each other. 6. Thread on two pearl beads making sure the 1" tail end is also fed through the pearls. It will be a tight fit but it will work. 7. Thread on one bali bead making sure the 1" tail end is also fed through the bali bead. Trim excess wire. 8. Thread on 3 more pearl beads. 9. Thread on 1 bali bead. 10. Thread on 9 pearl beads. 11. Thread on 1 bali bead. 12. Thread on 3 pearl beads. 13. Thread on 1 bali bead. 14. 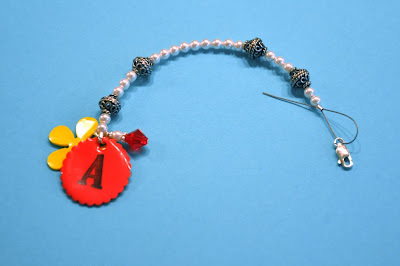 Thread on 2 pearl beads. 15. Thread on 1 crimp bead. 16. Thread on the lobster claw. 16. Feed the remaining wire through crimp bead. 17. 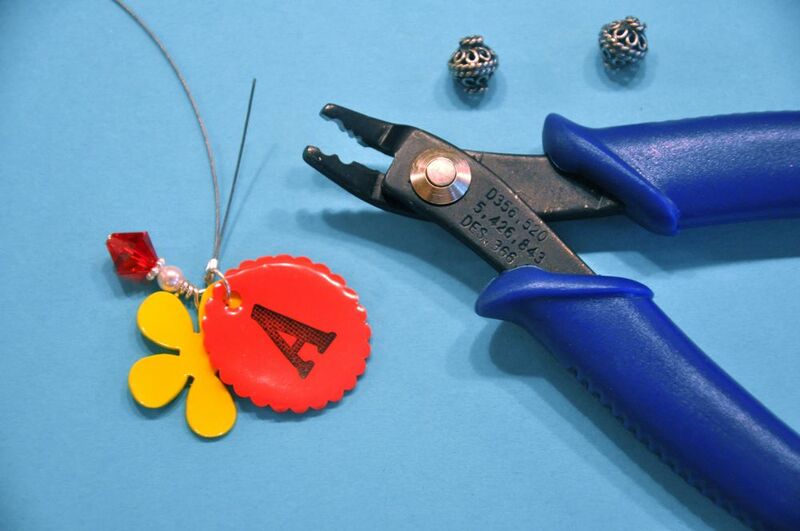 Move the crimp bead up the wire toward the lobster claw. 18. Feed the remaining wire through the two pearl beads and the one bali bead. 19. Pull the excess wire the opposite direction of the lobster claw to secure and create a tight fit. 2o. Cut EXCESS wire close to the bali bead making sure NOT to cut the wire for the bracelet. Congratulations! You are now done! Attach your "Tool Bracelet" to your favorite scissors or rotary cutter. 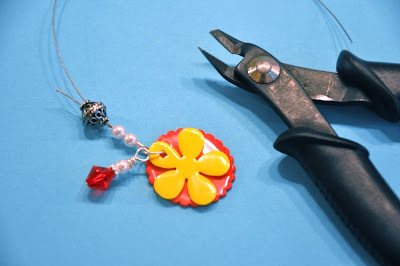 Just a note: I've made my best effort to link you to a SMALLER Bali Bead but if your (4) Silver Bali Beads are TOO big they may not fit through the hole of your rotary cutter but you won't have any problem with your scissors. When you're looking for Bali Beads they don't always give the size. Hint: The more the bead costs $$$ the bigger the bead will be. I hope you enjoyed this tutorial and if you have any questions or see any mistakes please let me know. Thanks! Awesome idea:) They are so cute. 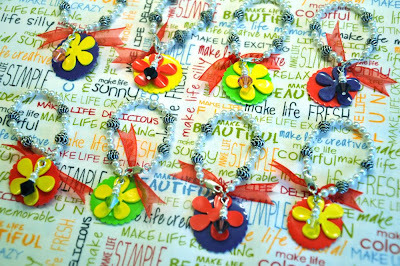 These bracelets would also be a cute way to hang up supplies in a craft room. Great tutorial. These bracelets are really cute! What a great idea Kim -- those are super cute!!! These are so cute. Great tutorial. Love & blessings from NC! Wow Kim - what a great tutorial! I've done a little post about it and linked back to your blog - can't remember how many retreats I've been to where someone wasn't looking for something! Now if we can just get them to label their rulers!! These are darling! Thanks for the tutorial. This is a fabulous tutorial. Well done. 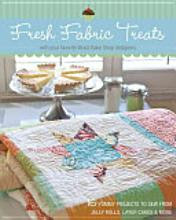 I would love to make some in the near future. Thanks for all your hard work. Holy Cow Kim. What an impressive tutorial. It must have taken you forever to write it. These are really lovely. I mean REALLY! I'm not surprised though. Everything you do is amazing. You make wonderfully detailed tutorials! These are very cute! I could see my scrapbooking friends liking them for their scissors and such too. Very cute!! Kim you come up with the most creative ideas. They are delightful. Very cute and creative! Thanks for the nice tutorial! Just posted a link to your tutorial. I used your photo as the icon (and gave you credit). I hope that's okay. Please let me know if it's not, and I'll take it down immediately. Thanks for this! 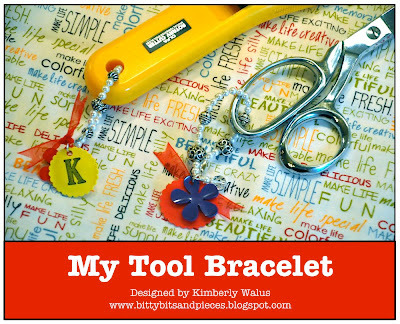 Thank you again Kim for the wonderful tool bracelet of my very own! I love it! Wonderful! I was just, eh hem, cleaning my craft room, and came upon beads AND shrink plastic circa 1999 or so. Now I have a project to use it on! Thank you so much Kim. 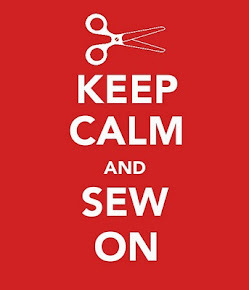 I have a little "ditty" on one pair of my scissors that was given to me and I find it quite essential when the grandkids are here - they know that "those" are Mimi's "Special" scissors and not to touch them. I love the tutorial and appreciate my tool bracelet even more! I wondered how you made that shrinking little ditty. Thank you again! 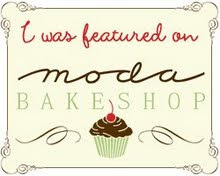 I was revisiting your blog this afternoon, when I came across this post. Your tutorial is just darling. 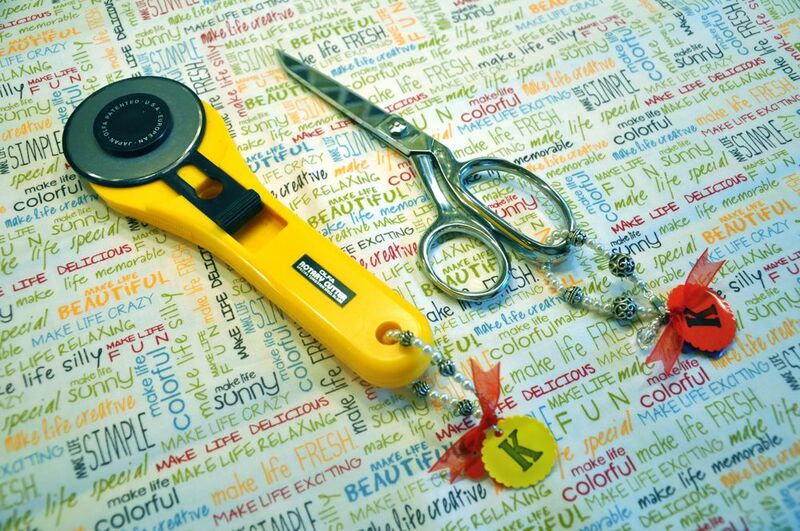 :o) What a pretty addition to a pair of scissors! 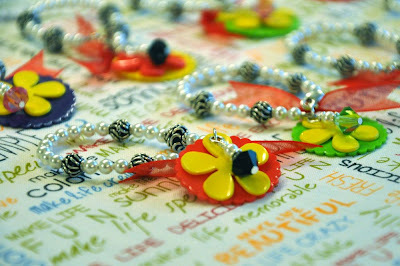 I purchase all of my beading needs through artbeads and have been so pleased through out the years. However, I have a lot in my beading stash and trying to transfer my beading over to quilting. 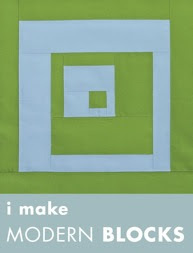 I currently have a bartering button on my blog (as well as Jodi's) with all the details. But, I was wondering if you need any silver beads?? I have those in an abundance and would love to either trade them with you for fabric scraps or sell them to you (obviously, no tax or shipping-since that is how artbeads does it). 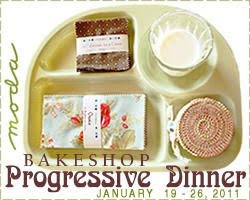 I can even knock off a few cents, so that I can destash!